So, in summary: To say that the German ‘versions’ of Amazon Echo and Echo Dot are supply constrained would be an understatement. We got review units of an Echo and Echo Dot for testing how good the German version of Alexa is. > wether Amazon can pull off a successful internationalization of Alexa, next to Google’s and Apple’s already more widely internationally available voice interfaces, will be the last important point of data to assess to get a read on how strong a position Amazon will be in in a voice interface world. There are some, but not many, local integrations like Chefkoch (a rundimentary integration, bordering on nonsensical, of a hugely populare recipe cooking community), Deutsche Bahn and mytaxi. Alexa is learning in a fast manner. Commands it did not process or processed only after we repeated them a few times got picked up faster and accurately after a few days of usage. It may be because of the array of microphones in the Echo, but speaking from personal experience (all of this is anecdotal of course) it at least feels to me like Alexa is already better or at least on par with Apple’s Siri. Which is a feat in and of itself, given the fact that Siri has been available in German for 5 years. 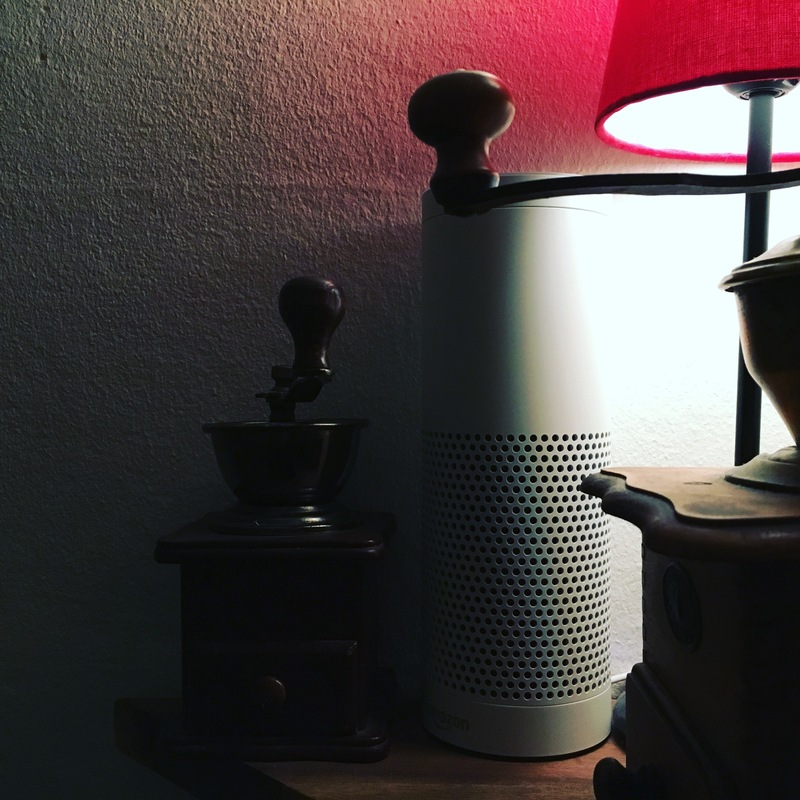 Now, lets see if the German Alexa can grow up as fast as its English parent. The Echo Dot, Echo’s inexpensive little sibling, is important for this. Maybe more so than the bigger, more expensive Echo. Cnet wrote in its review of the Amazon Echo Dot (2nd Generation) that Alexa finally has some competition. That (Google Home) is almost certainly why we have a second-gen Amazon Echo Dot. With the price slashed to a near-absurd $50 (or £50 in the UK, where Alexa launched this summer) and €60 in Germany, Amazon’s goal is obvious — get its virtual voice assistant into as many homes as possible now, before people have other options. That means that the Dot is designed to sell, sell, sell. And to step all over the arrival of Google Home. “The smart home of tomorrow just found its Model T”, writes CNET about the new Echo Dot. It is promising then that Alexa launched (or is going to launch..) in Germany with the Echo AND Echo Dot being available. The low entry price for the Echo Dot will make sure that more curious people will give Alexa a try. And it will make sure that Alexa enthusiasts can easily provide every room in their house with access to Alexa. Read in detail here why Alexa matters. Practical question though, can Alexa understand both German and English at the same time ? Can I ask question in each language without reconfiguring it all the time ? German Alexa understands it when I ask it in English for the current time. It fails at everything else I ask of in English. Could be because of my bad pronunciation. I don’t know. Hum, so is it configured to understand both in your opinion ? Like you if ask for the time in English does it responds in english too ? I’d like to have one device shared between multiple people speaking different languages. No, I now guess that this is not possible with today’s Alexa. And for good reason, I guess: trying to identify messages between two languages is harder than with one language. Alexa has a hard enough time with German right now as it is. Asking for the time seems to be one of few hard-coded exceptions. Nothing else I tried has worked. Having thought about it, it doesn’t surprise me.